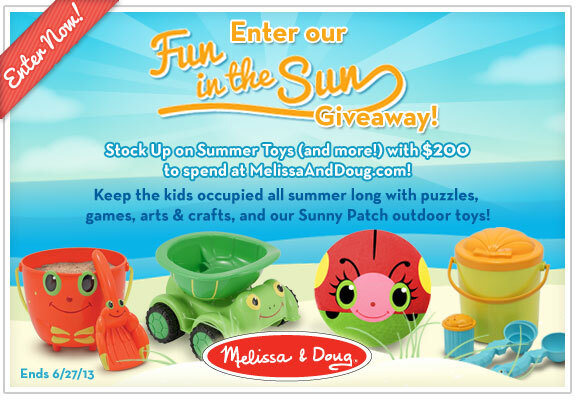 MamaBreak: Melissa And Doug Summer Fun Giveaway! If you are like me, you do not want those kiddos to be bored! We are always looking for new, fun activities for the kids-- inside AND out, and Melissa& Doug never disappoint. Their toys are such high quality that you know they will last and last! Disclosure: By entering this giveaway you agree to receive email communications from Melissa & Doug. I received no compensation for this publication. My opinions are my own and may differ from those of your own. MamaBreak is not responsible for prize shipment.